There is nothing better than a piece of clothing that can be worn multiple ways. I wore this adorable floral romper during the day to run errands. I am obsessed with the print and the adorable bow detail at the top. 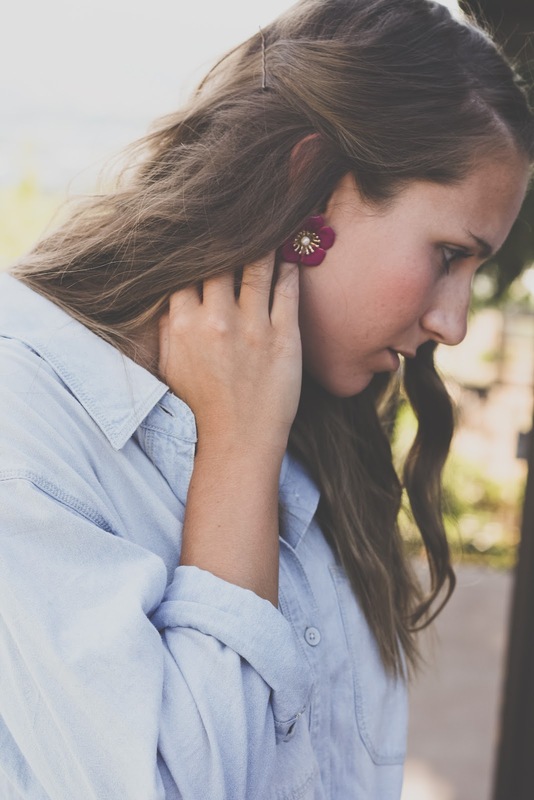 Later in the evening, I knotted a chambray shirt over the top, turning the romper into an adorable pair of loose, flowy shorts for the perfect casual date night outfit. I’m not sure if you can tell, but I’m OBSESSED with my DV by Dolce Vita ‘Onya’ platforms and my Cinema Americano bracelet from Jewelmint. I turn to them frequently when getting dressed, as I feel they are the two pieces that can complete just about any outfit. Do you have one (or more) of those pieces? you always take so many beautiful pictures, i love looking at them 🙂 you look really really great and i love your jumpsuit and your shoes. the colors are sooo great, they are perfect for summer. i love this outfit of you. this dress is amazing, it fits to many lovely stuff. i love it. This is adorable! I love how versatile it is. I never would have thought about layering like you did. Great choice! You look adorable, such a cute romper! you look gorgeous my darling i love your jumpsuit~!! You are so cute! I love it with the shirt! I'm in love with your platform sandals. you look so cute in this romper! nice outfit! 1. I want that Madewell Chambray shirt. 2. I'm so jealous at how well you pull off this romper, it looks amazing on you. 3. Those shoes are KILLER. So great. You look amazing, your sandals are perfect! You are just too adorable! And you can certainly pull off a romper like nobody's business. Haha, love how you transformed it with the chambray button down. Plus, I'm just as obsessed with those platforms – they're so awesome! And girl, I really like your jumpsuit! It's so cute! Thanks for visittng my blog. followed u. hope to see u in my blog soon. i love when there gems like this at target! Wow!!! I love your outfit, your sandals are amazing!!! I want to thank for the super nice comment and for following my blog. I'm also following yours on GFC and Bloglovin. Super cute outfit! 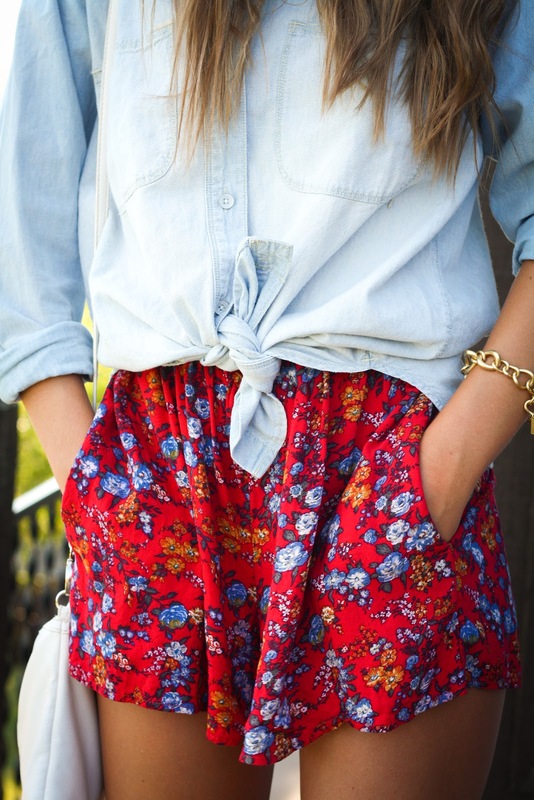 I love the denim and floral combination! The jumpsuit is so cute! What about following each other with GFC? Would love to follow each other! Im now following u on bloglovin and GFC! You have an amazing blog!!! LOVE the print on this romper – so fun! Denim shirts are so versatile, aren't they? such a cute jumpsuit. love the colours and what you've teamed it with. Looks like a perfect outfit for summer. I love the way you turned the dress into a skirt! So versatile!